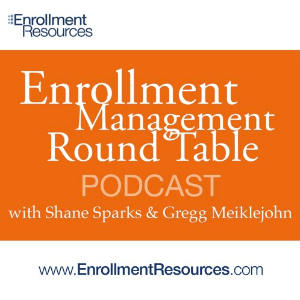 Join Shane Sparks and Gregg Meiklejohn as they show a few brave volunteers how tiny tweaks to their Enrollment Management process can potentially recoup them millions of dollars in revenue. Check out Podcast #43 “Lost Revenue Finder Live” to learn how to begin creating a culture of innovation at your school. With 1 click you’ll have on-demand access to over 40 podcasts featuring industry insiders sharing their wisdom with you – for free!